VOGONS • View topic - Can I solder a USB port to this empty pad on Mobo? Can I solder a USB port to this empty pad on Mobo? I'm in a bit of trouble. 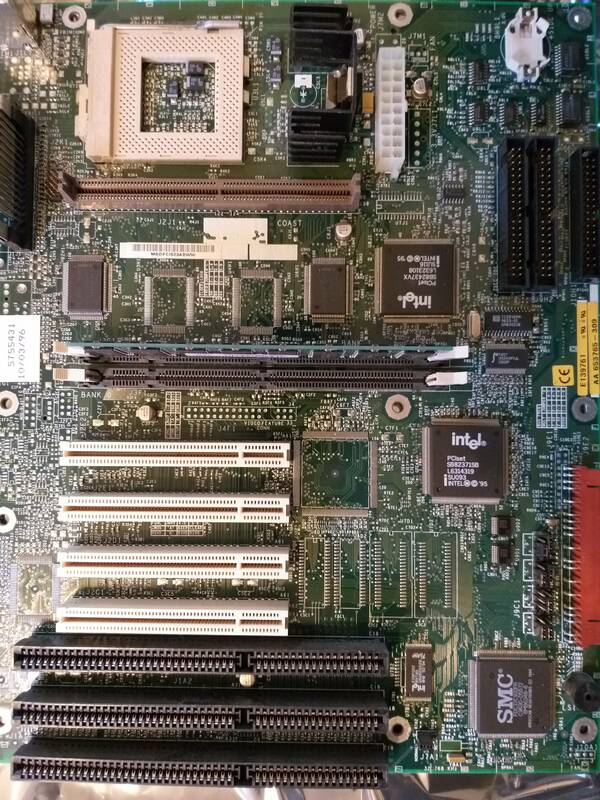 I have this very old Pentium computer and it only has a DIN connector for the keyboard, two serial COM ports and a printer port. My old serial mouse is long gone and right now I'm having trouble finding a new one. So I'm thinking about alternatives. I have tried connecting a PS/2 mouse with an adapter to the COM port but no luck. I have tried connecting a PS/2 keyboard and mouse via PS/2 Y-splitter + PS/2 to DIN adapter, also no luck (the keyboard with the PS/2 to DIN adapter alone works fine btw.!). The motherboard is a Chaintech 5IFM M101 and after inspecting it closely I found free solder pads for a USB port (see pic)! 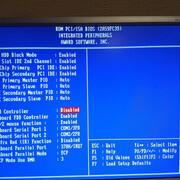 In the BIOS I have also found a USB controller that is disabled by default. So can I just solder a USB header onto the motherboard and enable the controller in the BIOS to get USB support? And will that even help me if I want to play DOS games with a mouse? Re: Can I solder a USB port to this empty pad on Mobo? Please note that the USB header on this board is NON-STANDARD. DO NOT USE OFF THE SHELF MODERN USB HEADER CABLES, they will likely fry something. Thank you for that helpful info! I will definitely try wiring up a port to the mouse header. That would actually be much more useful to me than USB. And my southbridge chip does not seem to be the right version anyway. In 99% cases when you have USB headers then USB will work. And also more often than not when you have empty place on PCB then it would also work. I would give it a try, it is easy, just measure GND and +5v pins before actually connecting the header then you won't fry anything (if does not work swap USB+ and USB- data lines and try again). not that it matters as it looks like your going with ps2 now. 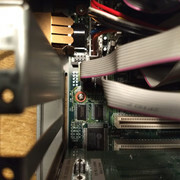 Wired up the headers on my Gigabyte GA586HX board (430HX) before, worked just fine after enabling the USB ports in BIOS. However, the ports are USB 1.0 (as opposed to 1.1), which means compatibility issues, even with stuff that is supposed to be USB 1.x compatible. Guess 1.1 interfaces were commonplace when USB got off the ground after a quite slow start, and most later peripherals omitted 1.0 support. what is the difference between USB 1.0 and 1.1? Errius wrote: what is the difference between USB 1.0 and 1.1? On a second thought, could be the driver implementation just aswell, using the driver included with W98SE with that GA586HX board. I want USB 1.1 over Type-C.